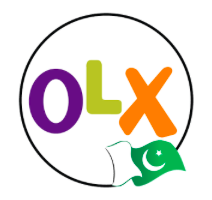 OLX is the world’s leading classifieds platform which provides local communities in high-growth markets with vibrant online marketplaces: OLX connects local people to buy, sell or exchange used goods and services by making it fast and easy for anyone to post a listing through their mobile phone or on the web. Every month, millions of people in local markets around the world are already using OLX’s online marketplace to find and sell a wide range of products, including computers, cell phones, furniture, sporting goods, services, cars, real estate, and many more. At OLX, they believe in making the world a better place: OLX improves people’s lives by bringing them together for win-win exchanges. Sellers can easily earn some extra cash by simply posting items that are no longer of use by them – thus, giving buyers the opportunity to find great value items at affordable price deals.